what does enabling these things do? Might have to put in a request to Slingshot to fix it if it is not working. Or alternatively get a fritz box or something. Hopefully there will be new firmware updates for the VB104W sometime. Slingshot just keep giving me the "we dont support port forwarding etc etc" and have no idea what they are doing! EDIT: Also port forwarding is something SS should probably support. UPnP isnt always reliable, and sometimes it is desired for a static port forward for a single address. I am hopeful that Slingshot will relax some of the constraints and also implement more features. Would be better than waiting for customers to complain before action is taken. Alternatively could just purchase a VDSL router made from another vendor. I have also been having issues with the VB104W, slingshot have no idea. Does anyones VB104W return the attenuation correctly? Have not had any CRC or FCS errors since the line came up too (which is a good sign I believe). Hoping to get to 17a profile. I am close to the cabinet, but unsure if or when the profile changes to 17a. NZCrusader: Does anyones VB104W return the attenuation correctly? Mines shows 5.0 down and 62 upload attenuation. Apparently, only the download is taken into account. No CRC or FCS errors for me either. I'm just going to wait for the 10 days to see if 17a change takes place. Doesn't really bother me tbh, I'm paying $10 extra for 3 times my download speeds already :D and 10x the upload. I'm stoked. How many meters from the cabinet are you? paulqnz: And the router likes to lock up at random times, can't ping it, can't login to it, forces me to power boot it which I'm not happy about doing been that it affects DLM. 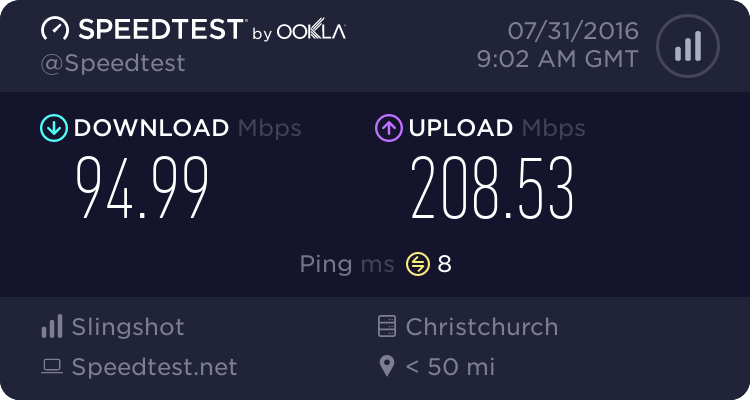 If you keep the modem off for more than 5 minutes, the modem doesn't treat it as a drop in connection (from what the VDSL thread in snap sub forum says). Get an attenuation of 1-2 on ADSL2+ so unsure what the VDSL attenuation will be. The tech said not to turn off the modem for the first 10 days. Maybe the VB104W just isnt able to report on attn below 5db? Port forwarding is really simply in these.